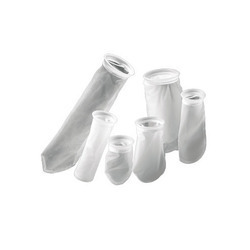 We are a leading Manufacturer of nylon mesh filter bag from Navi Mumbai, India. With superiority as well as client leaning approach, we are indulged in offering an exclusive array of Nylon Mesh Filter Bags. Our offered range is obtainable in different sizes and can be customized as per the demands of the valued clients. The offered range is extensively applicable in various industries like ink, paper, chemicals, pharmaceuticals, pesticides, food & beverages, dairy products, agro-chemicals, etc. Clients can get this range from us at competent prices.